My beloved and I had a wonderful walk on Thursday through the woods to the south of Hebden Bridge and up onto the farmland just below Stoodley Pike. It was bitterly cold but we wrapped up warm and faced the elements! The woods are a beautiful place to be at this time of year and the ground was fairly frozen making it easy to walk over what would have otherwise been ver boggy leaf mould. 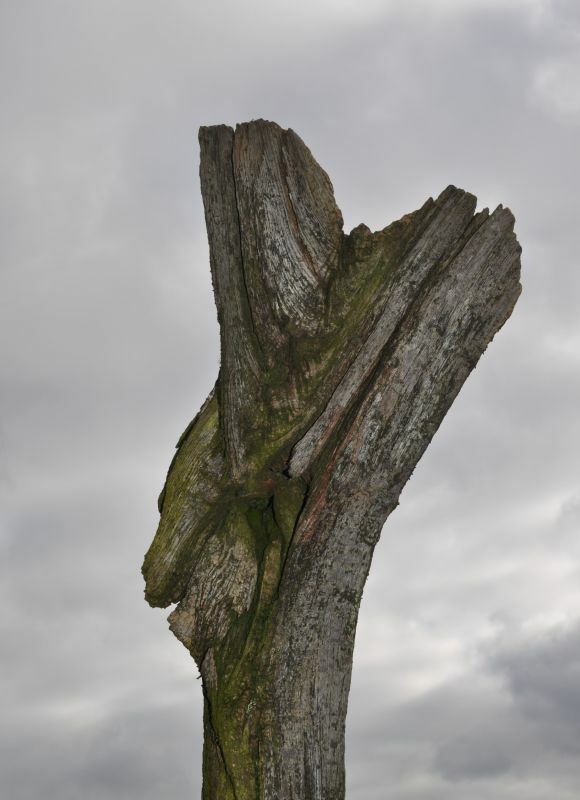 Up along the walled tracks I came across this stump looking quite statuesque against the sky. I’m sure a bit of photoshopping will make it more spectacular. Once we got back down into Hebden Bridge we found a very nice organic cafe for hot soup and bread before we took the train back home into Leeds. This entry was posted in Walking and tagged Hebden Bridge, stoodley pike. Bookmark the permalink.